From increasing brand awareness & site visitors to boosting conversion rates, we’ve leveraged the power of local advertising to get real results. 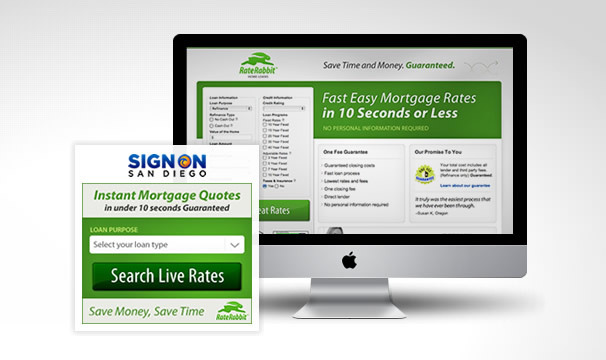 Part of this local marketing push involved our client Rate Rabbit, a mortgage company based in San Diego that has introduced a new, Internet-based way to obtain a home loan if you just navigate to these guys. You can click here for more information. Ninthlink was responsible for the design to support an email campaign and display advertising currently running on SignOnSanDiego.com. In order to make sure the ads are as relevant as possible to readers, we took advantage of targeted advertising options, allowing Rate Rabbit to choose which section(s) their ads appear in, assuring placement next to relevant editorial content. Since the start of the campaign, traffic coming from our display ads has accounted for nearly half of all incoming traffic to raterabbit.com. 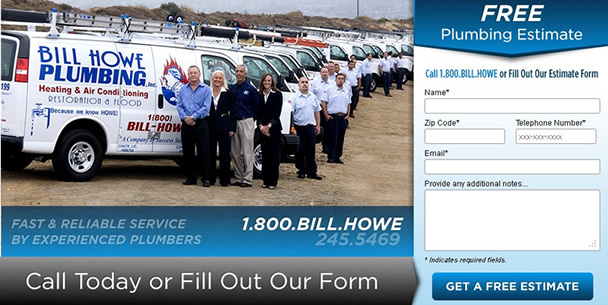 Another client of ours having success with advertising locally is Bill Howe plumbing. In a recent blog post on local online marketing strategy, we discussed the benefits of advertising in search engines. Although this often comes at a price, it’s still the number one source for connecting with people who are actively searching for your products and services. The best part of paid search engine marketing is the flexibility it gives you to set your budgets, the time of day in which you want your ads to run, and you get to write customized ads that suit your business needs. You also get to send people to highly targeted landing pages. Perhaps the most important part of the equation is the last one – highly targeted landing pages. We’re currently driving traffic from local, paid ads for on Google to www.billhowe.com/plumbing, a landing page with one specific purpose in mind: capture a lead. Not counting the phone calls and traffic to the main website, our landing page is converting well above the industry average. Get started with your local ad campaign today!